Good Morning everyone!!!!! At least there is still a wee bit of morning left at this point. First let me start of by talking about the weather. I KNOW everyone and their cousin has made a comment about the weather. But it's 50 degrees out right now, earlier this week we were under a state of emergency because it was in the negatives. This is some crazy crazy stuff. It's raining out right now and melting all the snow. SO! What do we have today? I have two polishes that were sent to me from Two Gypsies Nail Lacquer. If you follow me on Instagram you have already seen the swatches there, but I have MORE pictures Including some macro shots. 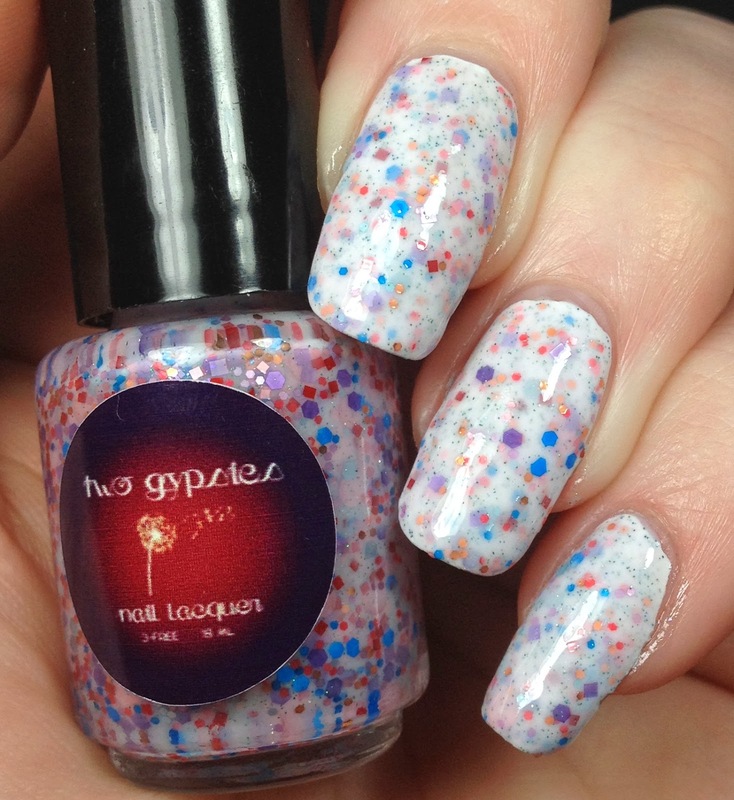 First up is Ribbon Candy, a white crelly polish JAM PACKED with glitter. I mean seriously, there is NO fishing for anything in this polish. Complete coverage perfection. 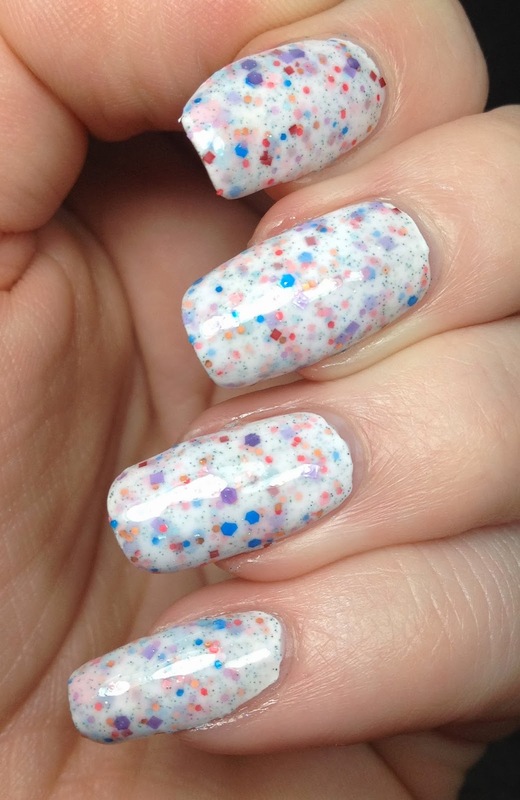 This is two coats of Ribbon Candy over one coat of Sally Hansen White Out. Topped with Glisten and Glow HK Girl topcoat. 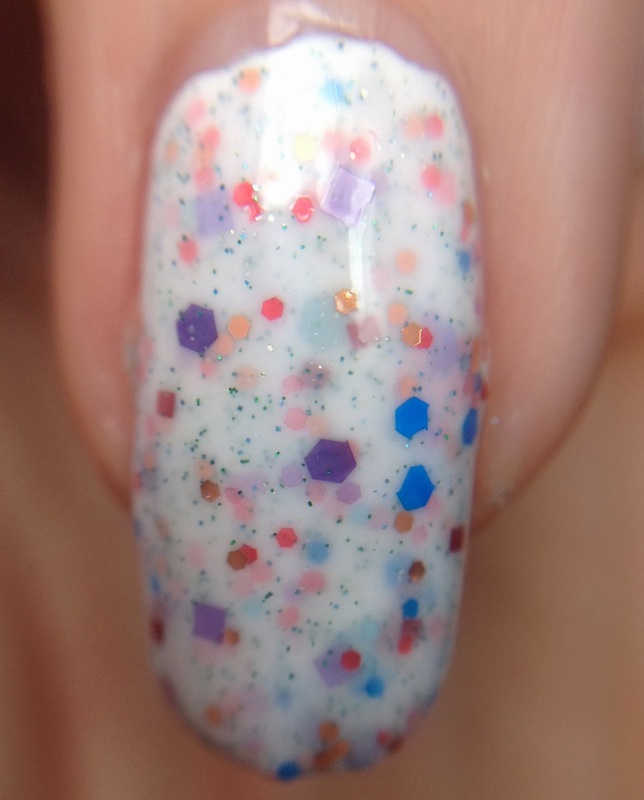 "Ribbon Candy is white crelly polish loaded with pink, purple, blue, orange, red, and green hex, square, and microglitters, as well as a scattering of large pink dot glitters! 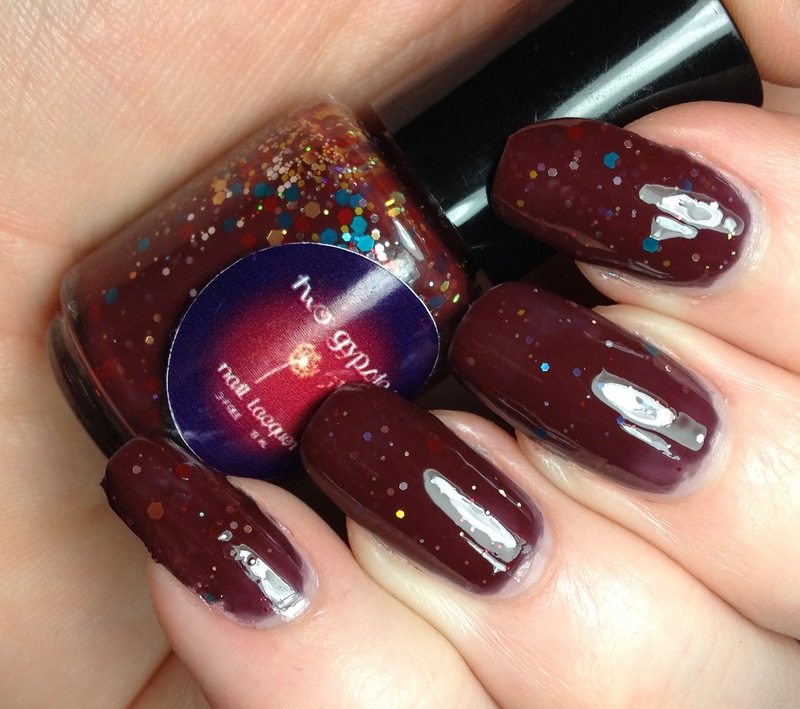 Opaque in 2 generous coats"
The other polish that was sent was Wicked. 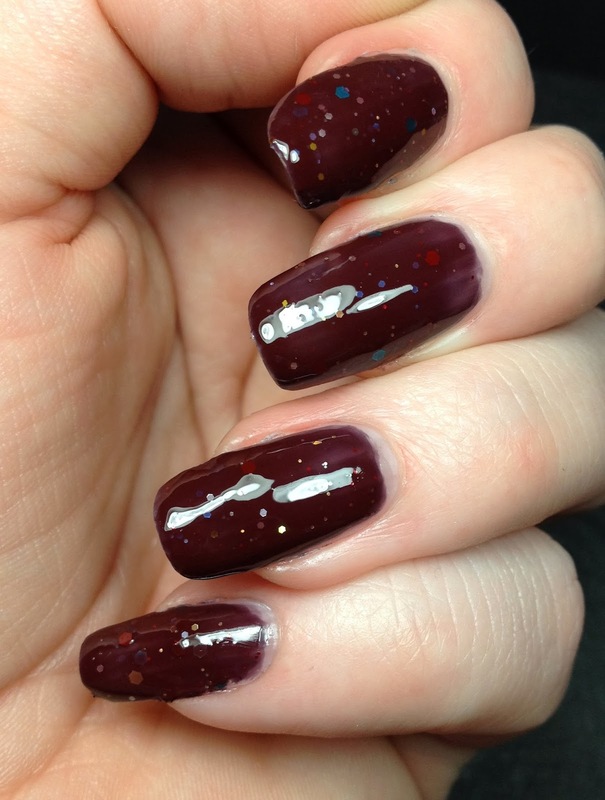 This is an awesome vampy burgundy/maroon polish with glitter in it. It's not as densely packed as Ribbon Candy, but it's in there. I think too much glitter in this deep dark color would get lost. In this, it's the just right amount. This is two coats topped with Glisten and Glow HK Girl top coat. Just be careful to make sure that your coats dry in between. 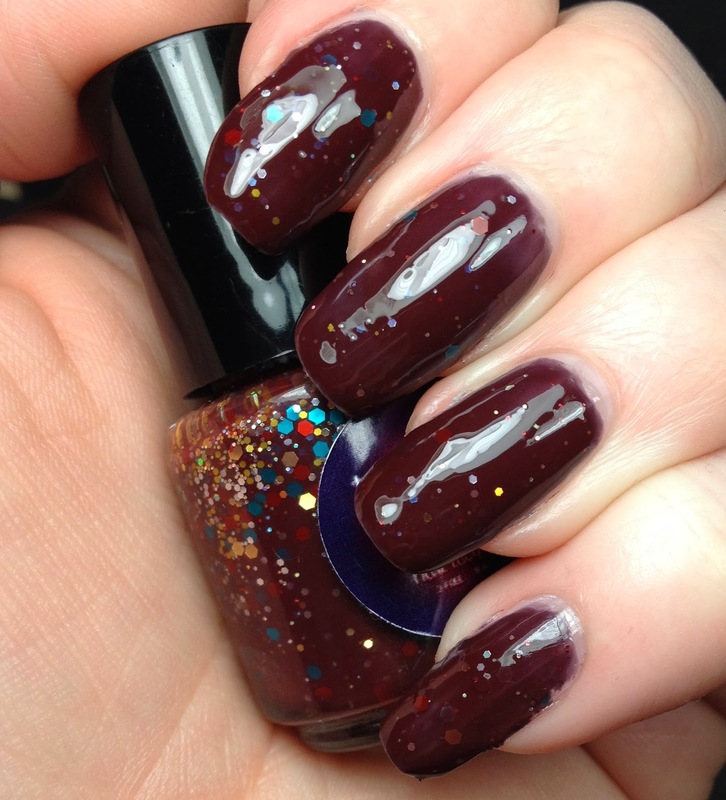 "Wicked is a dark plum leaning brown creme polish with a hint of sparkly red, teal, yellow, gold, and silver glitters." I just checked and both of these are still available in the shop right now, so go grab yours!!! I would have no problems purchasing from their shop in the future. Wonderful polishes, I was very happy with these two.